Narrative painting, open to interpretation,Â positioning the faces of a man and a woman (one upper left, one lower right), talking. Â Their expressions suggest they may be arguing. 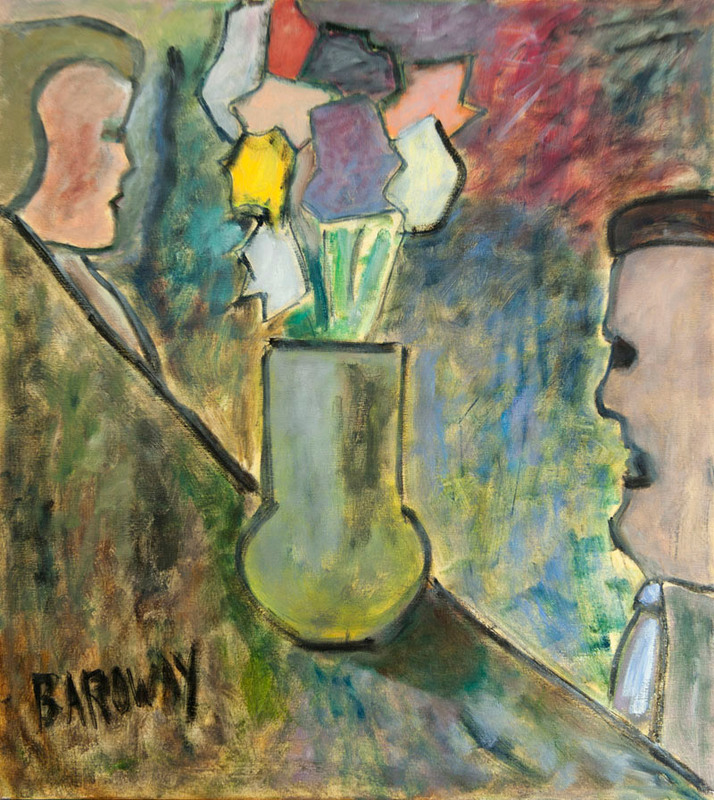 Â The painting’s center is a vase of colorful flowers,Â symbolic of happiness and togetherness, perhaps an irony, depending upon viewers’ perception of the attitudes of the couple.Â Painted as a representation of Malcolm’s marriage, where a couple feel free to be themselves.Â Malcolm lost his wife, Dee, to a lung disease soon after this painting was completed.